Maybe you are searching for kick-off, spa treatments, activities for the conference group, wedding or hotel rooms? There is a lot to love about the Swedish archipelago! Welcome to Djurönäset – the place to be for all holidaymakers loving the archipelago. With a stunning location in the heart of the archipelago and still within easy reach of the centre of Stockholm, Djurönäset is the perfect place for anyone wishing to experience the beauty of the Swedish archipelago in comfort and style. Stay just for a day, a full weekend, or – why not for an entire week! At Djurönäset there is plenty for you to get up to, both in terms of relaxation and for when you wish to be more active. Take a swim in the sea and sunbathe on our private beach. Spend time in our beautiful spa, with the amazing outdoor hotspring, swim in the large indoor pool and enjoy our saunas. Relax and savour our wonderful food and drink. 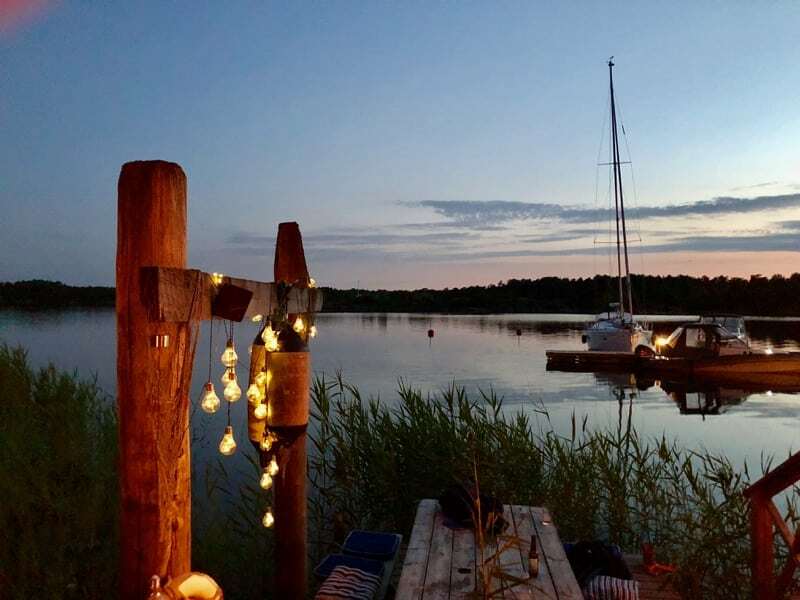 We are beautifully located on Djurö, an island with road connections all the way to and from Stockholm, situated in Värmdö Municipality known for its beautiful archipelago environment, historical surroundings and proximity to a rich boat life. Djurö has from ancient time up to the present day been a port in the Baltic sea and which is still a well trafficed shipping route. We are only a 35-40 minute car ride from the centre of Stockholm. There are also direct buss lines from the centre to our resort. The bus ride will take you approximately one hour. Visit us this summer – Discover our summer packages! Stay just for a day, a weekend, or why not for a full week! At Djurönäset there is plenty for you to get up to, both in terms of relaxation and for when you wish to be more active. Take a swim in the sea and sunbathe on our private beach. Bring your family and friends for an unforgettable weekend in the heart of the Swedish archipelago. Sink into our hot spring with it’s amazing view, enjoy our saunas, the large indoor swimming pool and our private beach. 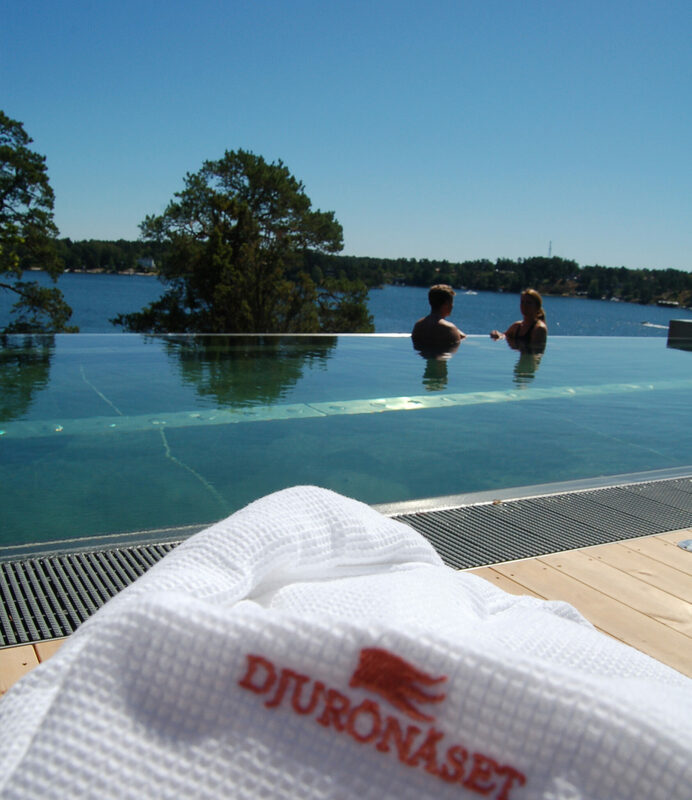 Here at Djurönäset you are always surrounded by the sea and the stunning nature of the Stockholm archipelago. If you are visiting for a weekend, we have two weekend packages for you to choose from – the “Archipelago weekend” and the “Spa weekend”. A superior 4-star conference hotel out in the Stockholm archipelago. Give a wonderful experience in the heart of the Stockholm archipelago! Choose from a delightful weekend package, or a weekend package with a soothing spa treatment or any amount you would like.